Paediatric Occupational Therapists are champions – this is not an overstatement. They embrace the challenge of meeting a broad range of children, exactly where they are. They work diligently to sort what needs to happen to help move the child forward onto the path that will allow them to become their best selves given their resources, strengths and capacities. In order to achieve this, the therapist is charged with combining information from neuroscience, developmental theory, occupational science, into evidence-based practice, all the while keeping the child engaged through meaningful activity. Wow, this is demanding! Not only do these heroes work hard to integrate all of this information, they remain hungry for more information and the latest strategies to help their clients meet daily life challenges and improve in their functions and capacities. In order to organize all of this information, therapists utilize clinical reasoning. However, the field has conceptually embraced clinical reasoning, but there are few tools that encompass the range of theories clinicians employ. The SpIRiT© Model attempts to provide such a tool. This course provides training in the SpIRiT© Clinical Reasoning Tool. The SpIRiT assists the therapist to do the thinking work of the ‘what’ the child needs, addressing the underlying ‘whys’ of intervention. Through this, the intention of the treatment is clarified and strengthened, and in turn, the treatment is strengthened and the therapeutic process becomes transformative. 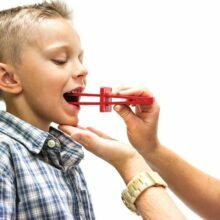 This course will provide a sound framework for clinical reasoning, a model that has been pilot tested. The model includes a review of sensory integration and is grounded in core social-emotional/relationship based principles. The course will focus on clinical reasoning and progress monitoring for optimal outcomes. 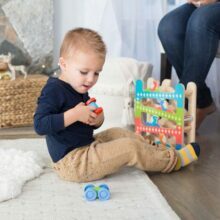 Through mastery of the SpIRiT© model, Paediatric Occupational Therapists are empowered to provide the most comprehensive and impactful interventions, and their work becomes more fluid and effective, freeing energy for more creative and connected care. Identify the neurological underpinnings of sensory integration/sensory-affective-motor processing (low route and high route) and how these impact daily function. 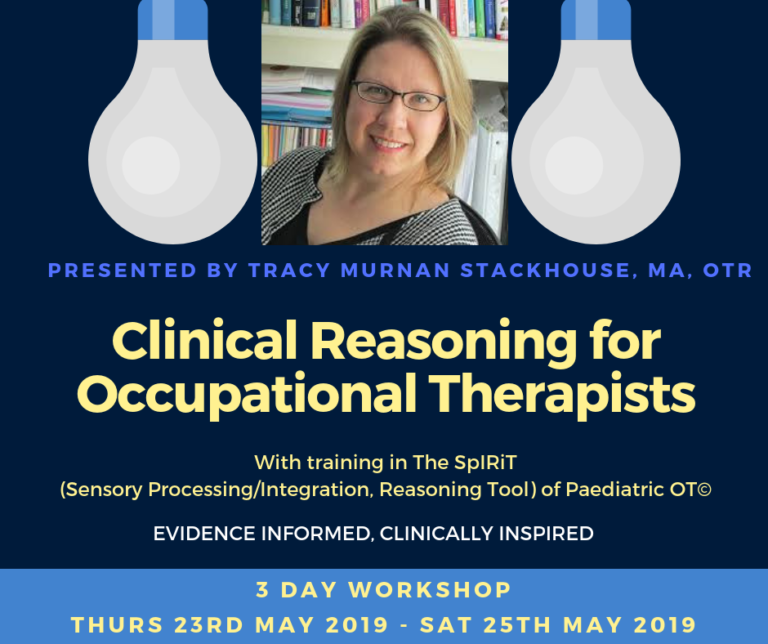 Begin to understand the elements that make up sound clinical reasoning with application to the practice of paediatric OT, utilizing an Ayres’ Sensory Integration framework. Connect sensory-integrative functions to adaptive capacities in social emotional and executive functions and apply this information to treatment planning, utilizing the STEPSI Model© (Stackhouse, Wilbarger, Trunnell, 1998). 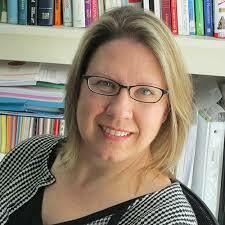 Tracy is co-founder of the Developmental FX in Denver, Colorado. She is a leading pediatric occupational therapist involved in clinical treatment, research, mentoring, and training regarding OT intervention and neurodevelopmental disorders, especially Fragile X Syndrome and autism. Tracy has a Bachelor’s in Occupational Therapy from Colorado State University and found her work with Eleanor Gilfoyle pivotal in her training. She has a master’s degree in developmental psychology/developmental cognitive neuroscience from the University of Denver and was grateful to work with Sally Rogers during her research training. She is NDT trained, and SIPT Certified. 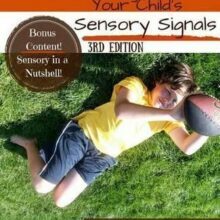 Tracy has written several book chapters on sensory integration and neurodevelopmental disorders, and teaches nationally and internationally on sensory integration, fragile X, autism, and related topics. Tracy enjoys mentoring and spends many hours a month mentoring clinicians from around the world to improve their clinical reasoning skills. Places are strictly limited. Early booking recommended.